Plurality is never to be posited without necessity. William of Ockham, also Occam (ca. 1287–1347), was an English theologian and Franciscan friar, most famous as a proponent of what has become known as Occam's razor. It is pointless to do with more what can be done with fewer. Logic is the most useful tool of all the arts. Without it no science can be fully known. It is not worn out by repeated use, after the manner of material tools, but rather admits of continual growth through the diligent exercise of any other science. For just as a mechanic who lacks a complete knowledge of his tool gains a fuller [knowledge] by using it, so one who is educated in the firm principles of logic, while he painstakingly devotes his labor to the other sciences, acquires at the same time a greater skill at this art. The head of Christians does not, as a rule, have power to punish secular wrongs with a capital penalty and other bodily penalties and it is for thus punishing such wrongs that temporal power and riches are chiefly necessary; such punishment is granted chiefly to the secular power. The pope therefore, can, as a rule, correct wrongdoers only with a spiritual penalty. It is not, therefore, necessary that he should excel in temporal power or abound in temporal riches, but it is enough that Christians should willingly obey him. "A Letter to the Friars Minor" (1334) as translated in A Letter to the Friars Minor and other Writings (1995) edited by A. S. McGrade and John Kilcullen, p. 204. Quaestiones et decisiones in quattuor libros Sententiarum Petri Lombardi [Questions and the decisions of the Sentences of Peter Lombard] (1495), i, dist. 27, qu. 2, K; also in The Development of Logic (1962), by William Calvert Kneale, p. 243; similar statements were common among Scholastic philosophers, at least as early as John Duns (Duns Scotus). As cited in "The Myth of Occam's Razor" by William Thorburn, in Mind, Vol. 27 (1918), 345–353. Frustra fit per plura, quod potest fieri per pauciora. Intuitive cognition is such that when some things are cognized, of which one inheres in the other, or one is spatially distant from the other, or exists in some relation to the other, immediately in virtue of that non-propositional cognition of those things, it is known if the thing inheres or does not inhere, if it is spatially distant or not, and the same for other true contingent propositions, unless that cognition is flawed or there is some impediment. I have set out opposing assertions in response to your question and I have touched on quite strong arguments in support of each position. Therefore consider now which seems the more probable to you. Vol. I, Book 1, Ch. 2, as translated by John Kilcullen and John Scott (2003). The Holy Spirit through blessed John the evangelist makes a terrible threat against those who add anything to or take anything from divine scripture when he says in the last chapter of Revelations [22:18–9], "If any man shall add to these things, God shall add unto him the plagues which are in this book. And if any man shall take away from the words of the book of this prophecy, God shall take his part out of the book of life and out of the holy city, and from these things that are written in this book." We clearly gather from all these that nothing should be added to sacred scripture nor anything removed from it. To decide by way of teaching, therefore, which assertion should be considered catholic, which heretical, chiefly pertains to theologians, the experts on divine scripture. You see that I have set out opposing assertions in response to your question and I have touched on quite strong arguments in support of each position. Therefore consider now which seems the more probable to you. Vol. I, Book 1, Ch. 2. Purely philosophical assertions which do not pertain to theology should not be solemnly condemned or forbidden by anyone, because in connection with such [assertions] anyone at all ought to be free to say freely what pleases him. In philosophy William advocated a reform of Scholasticism both in method and in content. The aim of this reformation movement in general was simplification. …With this tendency towards simplification was united a very marked tendency towards skepticism a distrust, namely, of the ability of the human mind to reach certitude in the most important problems of philosophy. 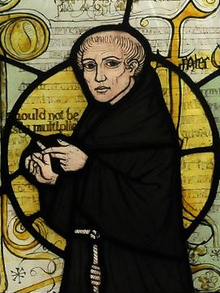 Historically, Ockham has been cast as the outstanding opponent of Thomas Aquinas (1224–1274): Aquinas perfected the great “medieval synthesis” of faith and reason and was canonized by the Catholic Church; Ockham destroyed the synthesis and was condemned by the Catholic Church. Although it is true that Aquinas and Ockham disagreed on most issues, Aquinas had many other critics, and Ockham did not criticize Aquinas any more than he did others. It is fair enough, however, to say that Ockham was a major force of change at the end of the Middle Ages. He was a courageous man with an uncommonly sharp mind. His philosophy was radical in his day and continues to provide insight into current philosophical debates. The principle of simplicity is the central theme of Ockham’s approach, so much so that this principle has come to be known as “Ockham’s Razor.” Ockham uses the razor to eliminate unnecessary hypotheses. In metaphysics, Ockham champions nominalism, the view that universal essences, such as humanity or whiteness, are nothing more than concepts in the mind. He develops an Aristotelian ontology, admitting only individual substances and qualities. In epistemology, Ockham defends direct realist empiricism, according to which human beings perceive objects through “intuitive cognition,” without the help of any innate ideas. These perceptions give rise to all of our abstract concepts and provide knowledge of the world. In logic, Ockham presents a version of supposition theory to support his commitment to mental language. Supposition theory had various purposes in medieval logic, one of which was to explain how words bear meaning. Theologically, Ockham is a fideist, maintaining that belief in God is a matter of faith rather than knowledge. Against the mainstream, he insists that theology is not a science and rejects all the alleged proofs of the existence of God. From the middle of the Nineteenth Century, nearly every modern book on Logic has contained the words: Entia non sunt multiplicanda, præter necessitatem: quoted as if they were the words of William of Ockham. But nobody gives a particular reference to any work of the Singular and Invincible Doctor … my own fruitless inquisition for the formula, in those works of Ockham which have been printed, has led me to disbelieve that he ever used it to express his Critique of Entities. 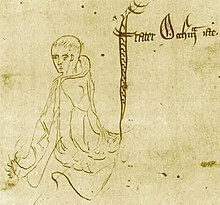 In his controversial writings William of Ockham appears as the advocate of secular absolutism. He denies the right of the popes to exercise temporal power, or to interfere in any way whatever in the affairs of the Empire. … In philosophy William advocated a reform of Scholasticism both in method and in content. The aim of this reformation movement in general was simplification. This aim he formulated in the celebrated "Law of Parsimony", commonly called "Ockham's Razor": "Entia non sunt multiplicanda sine necessitate". With this tendency towards simplification was united a very marked tendency towards skepticism a distrust, namely, of the ability of the human mind to reach certitude in the most important problems of philosophy. … Ockham's attitude towards the established order in the Church and towards the recognized system of philosophy in the academic world of his day was one of protest. He has, indeed, been called "the first Protestant". Nevertheless, he recognized in his polemical writings the authority of the Church in spiritual matters, and did not diminish that authority in any respect. Similarly, although he rejected the rational demonstration of several truths which are fundamental in the Christian system of theology, he held firmly to the same truths as matters of faith. This page was last edited on 21 December 2018, at 12:44.